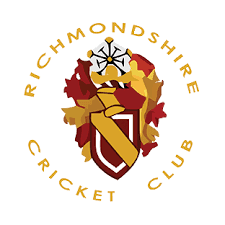 According to the scoresheets, this was a 51 run victory for Richmondshire, Masham batted first and scored 130 for 8, Richmondshire responding with 146 for 1. Some of our initial bowling was exceedingly wayward, with the ball repeatedly landing on the wrong wicket, no wickets were taken until the seventh over when Bobby used the novelty of a straight ball to deceive a batsmen and bowled him, there was also a run out in the same over. Bobby took another wicket in his second over with more accurate bowling. A number of wickets were run outs, the team showing welcome enthusiasm in the field, one was a direct hit from Daisy, there was also an appeal for one more which I did not give because Raam accidentally hit the stumps with his hand just before catching the ball and effecting the run out. Raam compensated by taking a wicket with a lovely yorker in the last over of the innings. All batters played with enthusiasm, Daisy, Harry, Bobby, and Emmy hit boundaries as well as the usual power hitters William and Raam. This was the final league match of the season, the under 9s finish with a record in the league of played 8, won 6, lost 2, which is the same as Northallerton's. Northallerton get to play in the north/south play-off because the teams to play in the play-off are determined by points gained by a certain date. I am afraid I don't think winning is everything at this level, I hope those who have played in the team have enjoyed themselves, there has certainly been a big improvement in individual and team performances over the season.